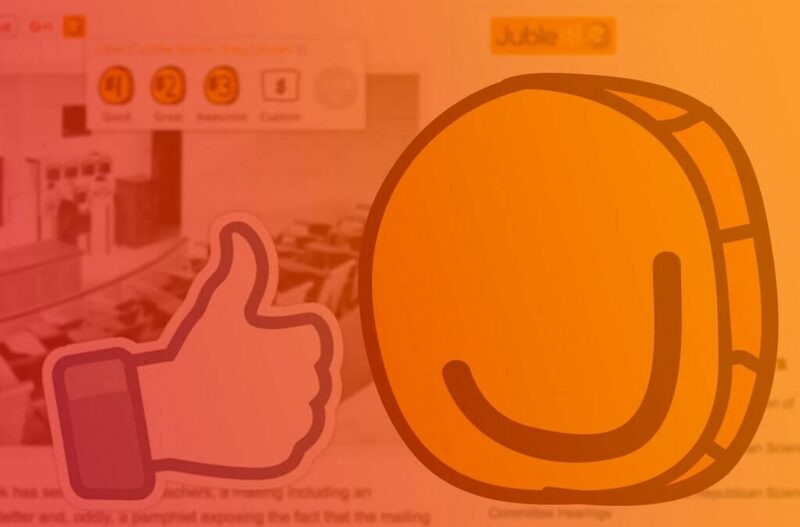 Our friend and client, Paolo Dominguez, and his team at Juble it! were the recipients of the “Big Idea Award” at the 2017 ComSpark Innovation Tech Summit. Cincinnati OH – October 3, 2017 – Hundreds of guests gathered last week in Mason for the 2017 ComSpark Innovation Tech Summit. The annual two-day trade show brings together a myriad of tech companies, startups, investors, and students, all for one purpose – innovation. ComSpark provides a platform for the growing Cincinnati tech community to celebrate accomplishments, milestones, and innovation, through their website, events, and more. This year’s summit welcomed vendors such as Zoozler, and Physna, speakers and discussions featuring prominent executives from the Cincinnati area, and startup booths, for small companies to attract more business and spread awareness. Among the startups in attendance was Juble it! – the social media button enabling people to spread their appreciation for things they love on the web through small donations or tips. 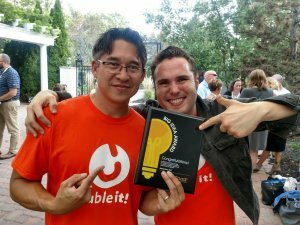 Helmed by Paolo Dominguez, also named the 2017 Rising Tech Star, Juble it! was granted the Big Idea Award. Follow their journey through their website and social media, as they prepare to present at the 2018 StartupGrind Global Conference in Silicon Valley.